We do not use your information for any other reason than to connect you with an addiction recovery specialist we've partnered with. Your privacy is important, and as such only our recovery center partners will be sent your information in order to assist you with getting help fighting addiction. Disclaimer: The information contained on this website or any linked resource is intended to provide general information about medical matters to the public and does not constitute medical or legal advice and should not be treated as such. The content is not guaranteed to be correct, complete, or up-to-date. NO MEDICAL RELATIONSHIP. The use of the website does not create a doctor-patient relationship. The transmission of information via the website does not create a doctor-patient relationship between you and Sunray Recovery Advisers LLC, a treatment center referral service. Nothing presented on the website constitutes legal or medical advice and shall not be relied upon in any way. Until a signed agreement and acceptance of the terms and conditions between you and your doctor have been made, there shall be no doctor-patient relationship created. No legal or medical advice is being provided. The website is maintained for informational purposes only. Nothing appearing on this site shall be considered legal or medical advice and is presented only as a general statement of the industry. Users of the website should not act, or decline to act, based on information or content from this website.  Sunray Recovery Advisers LLC, an treatment center referral service is not liable for the use, or interpretation, of information contained on the website or otherwise presented on accessed through the website, and expressly disclaims all liability for any actions you take or do not take, based on the website's content. "This disclaimer governs your use of our website; by using our website, you accept this disclaimer in full. If you disagree with any part of this disclaimer, do not use our website. We reserve the right to modify these terms at any time. You should therefore check periodically for changes. By using this site after we post any changes, you agree to accept those changes, whether or not you have reviewed them."